what are academic focus classes? In addition to Thematic Academics, students participate in Academic Focus Classes throughout the year, which offer engaging, enlivened middle & high school academics through lecture, skills practice, independent work, test/quiz taking skills, and inquiry/feeedback. Focus classes often use textbooks or course-books, and are offered in shorter, 60-90 minute sessions, 2-4 times per week. In the upper grades, online platforms may be engaged to offer higher level or specialized mathematics and foreign language. Academic focus subjects include math, language arts, foreign language. During the 11th and 12th grade years, academic focus classes can include AP courses, which are offered through AB Technical College. Credits earned during these classes can be applied to an associate's degree. 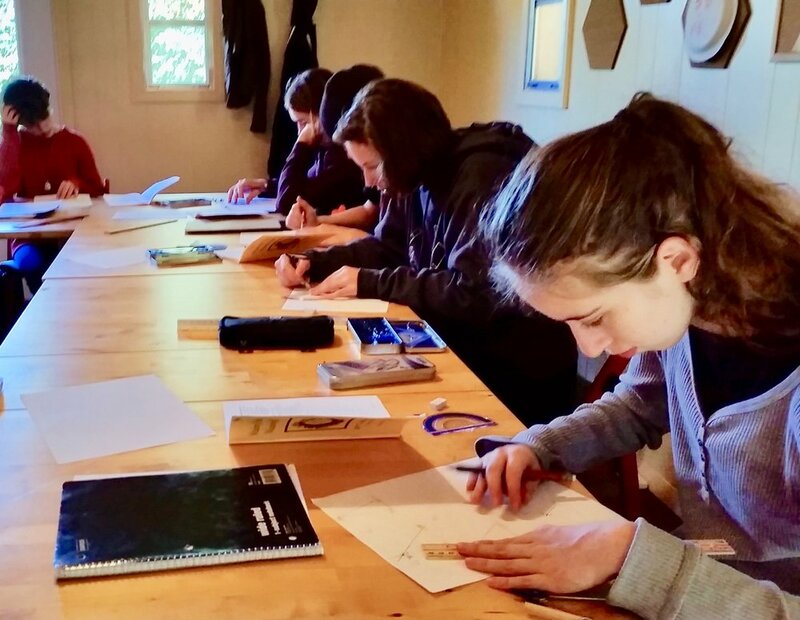 Academic focus classes offer exposure and preparation for more ‘traditional’ schooling methods and practices that students may encounter as they graduate into colleges and universities, or transition to other secondary schooling environments. Through practice with multiple styles of quizzing and tests, students will become comfortable with their test-taking skills. They will familiarize themselves with more concise, quantitative forms of evaluation and feedback, while also receiving a value-appropriate context for these methods as only one of many ways to reflect a learning experience. They will learn that concise measurements rarely reflect the totality of their learning, but they can offer helpful insights that will assist with assimilation and understanding. While we offer SOLA students this acclimating exposure and practice, our faculty will strive to create an awareness of the ‘invisible curriculum’- the subtlety imposed idea that often leads a student to believe a grade is the ‘sum total’ of their learning experience; or worse, a measure of their value as a human being. Academic focus classes require a reasonable amount of homework or independent work per week. These independent assignments will assist the student as they develop executive functioning, time management skills, and healthy work habits. In keeping with our intention to model a healthy work ethic, and support students to carry this with them into adulthood, homework for each class will typically be limited to 40 -60 minutes per subject, per week. Of course, there may be occasional exceptions to this during a special research or other project, or when a student is making up work due to absences.